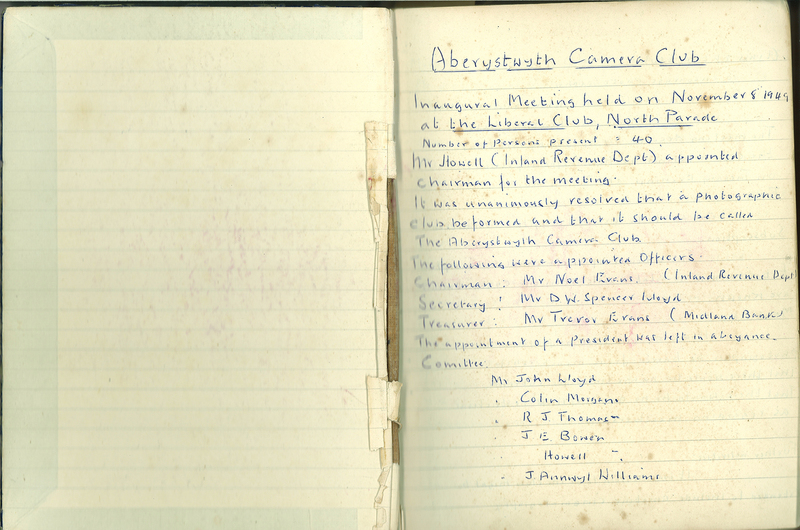 1) The club shall be called Clwb Camera Aberystwyth Camera Club. 2) The aim of the club shall be to encourage still photography by providing a forum and facilities for the interchange of ideas and mutual help. 3) Membership shall be open to all persons interested in photography. 3a) ‘A prospective new member may attend a maximum of 3 club meetings before having to pay the annual club membership fee’. 4) Competition Rules are to be drawn up by the committee and agreed at a General Meeting. 5) Subscription: The amount of the annual subscription for the following categories of membership will be decided at the Annual General Meeting. 6) The Annual General Meeting (AGM) shall be held under the chairmanship of the full time President, Chairman, Vice-chairman or a committee member and will be open to all fully paid up members of the club. a) To receive from the retiring Committee a report on the past season’s activities. b) To receive a balance sheet and accounts for the past season which will have been audited by a an appointed auditor. c) To elect new officers (see Clause 11). d) To appoint an Honorary Auditor. e) To consider any proposal put forward by Club Members. f) To establish the subscription rate for the following season. All propositions for AGMs must be received in writing by the Honorary Secretary twenty one days before the meeting, signed by the proposer and seconder. 7) Notice of Meetings: shall be given at least fourteen days before the date of the meeting to all members entitled to attend and shall state the business which is to be transacted. 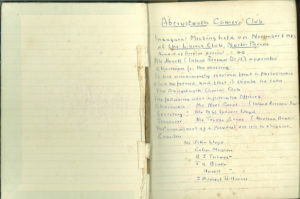 8) Special General Meeting: shall be held if deemed necessary, at such time and place as the Committee shall decide and shall be called at any time upon receipt of a request, addressed in writing to the Honorary Secretary, by no fewer than three fully paid up members, such a request to state the object of the proposed meeting. 9) Voting at General Meetings: Each person entitled to attend a General Meeting shall have one vote, the Chairman having an additional casting vote. Propositions involving finance or alteration of the Constitution shall require to be passed by 60% of the votes cast. The Quorum at a General Meeting shall be 60% of the fully paid up membership. This can be discussed for amendment. 10) Proxies at General Meetings: Any member entitled to vote at a General Meeting may appoint another member as his/her proxy, provided that the Honorary Secretary shall have received written notice prior to the meeting. Such proxy may vote on any proposition or in the election of Officers for the absent member as he considers desirable. 12) Election of the Committee: The Committee shall be elected at the AGM. All nominees shall be members of the club. Nominations shall be submitted in writing prior to the AGM to the Honorary Secretary. All nominations shall have the consent of the proposed member and the names of the proposer and seconder. In the event of no prior nominations being submitted, nominations will be accepted at the Meeting. All nominations shall be submitted for election by the AGM. All officers and Members of the Committee shall resign and be eligible for re-election. In the event of the Office of Chairman becoming vacant between AGMs, such vacancy shall be filled by the Vice Chairman. a) Have full control of the finances of the Club except that the subscription rate shall be determined at the AGM. b) Have the power to co-opt to fill vacancies on the Committee. c) Have the power to co-opt for specific purposes. d) Have the power to appoint Sub-Committees with such terms of reference as may from time to time be determined. 14) Meetings of the Committee shall be held at such times and places as the Committee decides. 15) Alterations to the Constitution: This may be altered at the AGM or Special General Meeting subject to the notice required above. 16) Club Assets: A list of Club assets to be drawn up and maintained by the Honorary Treasurer. 17) In the event of dissolution of the organisation the property of the organisation will be realised and after the satisfaction of all its debts and liabilities, such as property shall not be paid to, or distributed among the members of the organisation, but shall be given or transferred to some other institution having objects similar to the objects of the organisation with the exception of the club trophies which should be offered to the Ceredigion Museum. 18) The funds of the organisation shall be applied solely to the stated objects of the organisation. 19) Any Club member found to be in serious breach of the Club Constitution or Club Competition Rules may forfeit membership of the Club. 20) All material used in any image shown in any Aberystwyth Camera Club Competition or exhibition, must be the sole work/copyright of the author presenting the work. The same ruling applies to any image entered in any external exhibition or competition where the author is representing the Aberystwyth Camera Club.